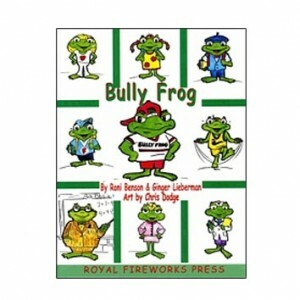 Typical youngsters are represented: Fitness Frog, Foreign Frog, Friendly Frog, Brainy Frog, Fraidy Frog, Fabulous Frog and of course Billy Frog (a.k.a. Bully Frog.) Helping adults are Mr. Toad the teacher, Fraidy Frog's mother, Principal Frogmum, and Nurse Feelwell.